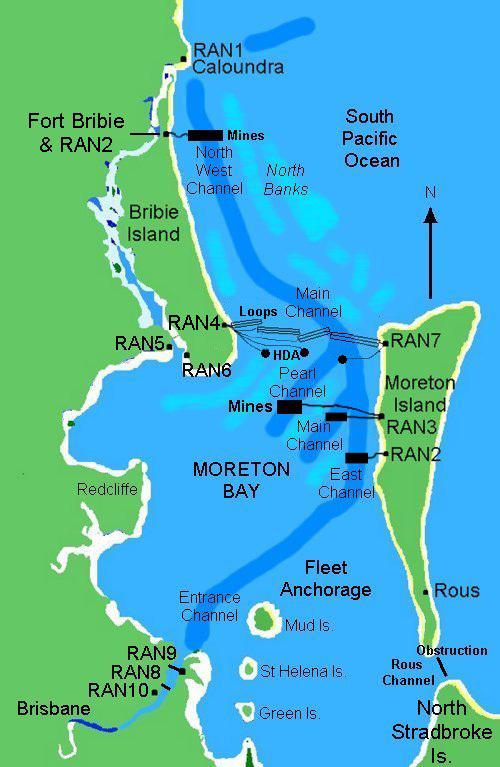 This is the story of the Royal Australian Navy's anti-submarine fixed harbour defences in Moreton Bay, Queensland, Australia during World War 2. They included indicator loops, guard loops, controlled minefields, harbour defence ASDICs, anti-submarine obstructions and booms, and photo-electric beams. RAN 10: Naval Store, Pinkenba. Fort Bribie, including RAN 2 Controlled Mining Station. Go to the end for a location map. This page was updated on 15 August 2008. 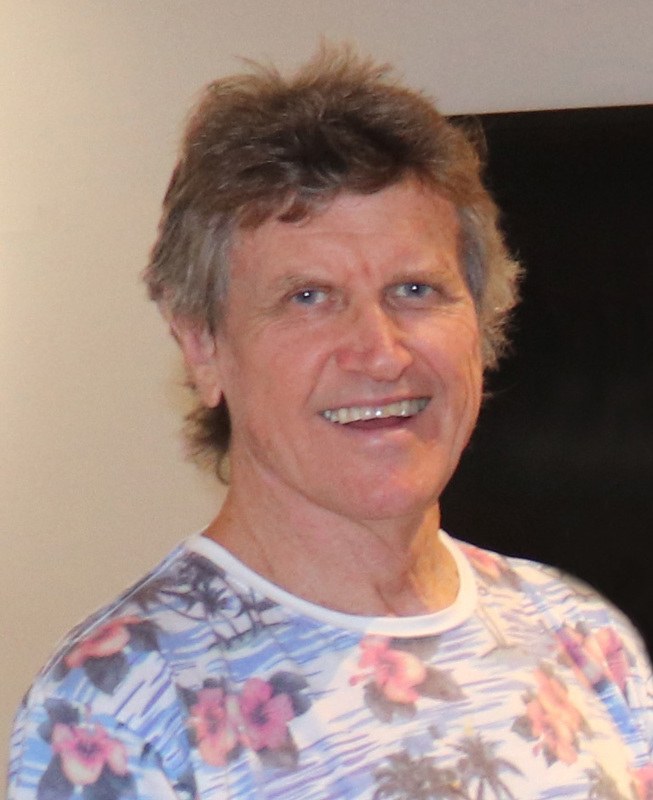 From Caloundra in the north, the bay stretches some 100 miles (160 km) to Southport, encompassing some 360 islands of varying size within its boundaries. Emptying into Moreton Bay is the Brisbane River upon which is situated Brisbane, Capital city of the State of Queensland. The map below shows the main features of the bay.